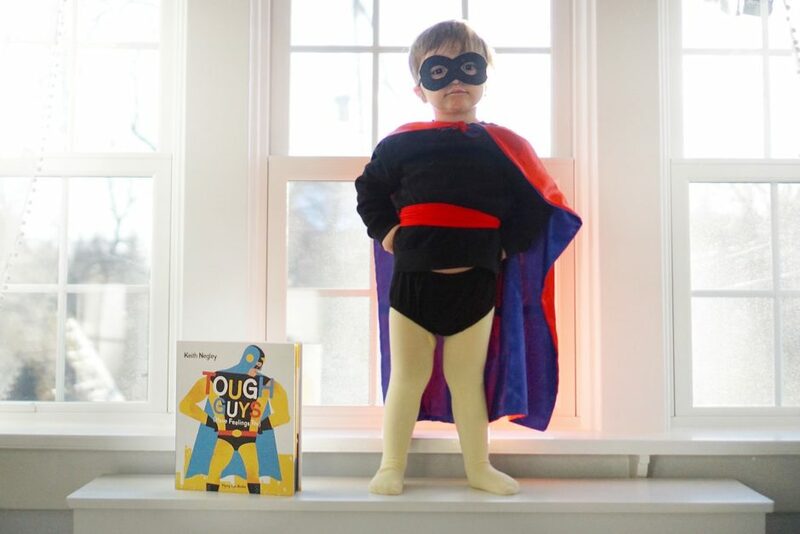 BOOKS FOR YOUR LITTLE TOUGH GUY • U Ready, Teddy? I've always consider myself a feminist even from a young age in large part due to my mom. I grew up hearing stories of my mom working in non-gender traditional jobs like helicopter mechanic and alligator researcher (yea, really). She taught me about famous women like Marie Curie, Elizabeth Cady Stanton and dressed me up as Susan B. Anthony for Halloween. This influence has shaped how I parent my own kids. It makes my heart happy that my son will put on his sister's yellow tights without even batting one of his long beautiful eyelashes. He is such a "typical boy" obsessed with trucks, trains, superheroes. He's always jumping off of things, "hi yah-ing" everything and getting SO dirty, but I love that he has a sweet side. He likes to play dress up, sing and dance, make art and take care of his baby sister. It is our job as his parents to make sure our boys never lose their sweet sides or feel like it is not "cool" for boys to be sensitive or be friends with girls or play with certain toys. 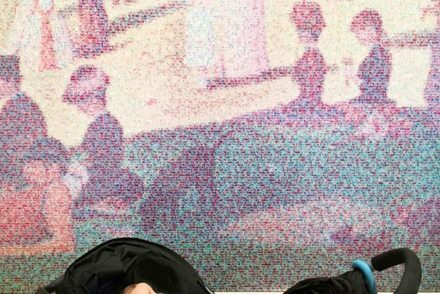 It seems like almost all of the TV shows kids watch, clothing they wear and toys they play with are targeted for a specific gender; painting a picture of what masculinity and femininity should look like. That's why it is so important to be intentional and also include media that challenges those ideas about gender. We have a few books on our shelf specifically designed to challenge toxic masculinity and keep our little "tough guy" from being too tough. This post contains affiliated links for your convenience. I only write about products I love and all thoughts and opinions expressed are my own. For more information see Legal. The picture book Tough Guys Have Feelings Too by Keith Negley is one of our current favorite reads! The illustrations are bright, modern and awesome and the message in the books is even better. Each spread has a different stereotypical "tough guy" character; a wrestler, an astronaut, ninjas, a superhero, a cowboy, a pirate, a knight, a race car driver, a captain, and a biker. All of these characters appealed to my two-year-old son. For some reason, he gravitates to these tough guy characters when he plays with toys or plays pretend without any conscious influence from me. Somehow his environment is shaping him to see those characters as "fun" or "cool," which is why books like these are so important. Tough Guys Have Feelings Too shows that all of these tough guys no matter how cool or brave they might be, also feel sad, lonely, disappointed, frustrated and embarrassed at times and that it is okay to have those feelings. The last page has a picture of a dad and his son, snuggling up reading a book together with little tears on their faces and says that it's okay for tough guys to show their feelings "...just like these tough guys, who love each other very much." Now, how freaking sweet is that? One of my favorite parts is actually the first and last spreads in the book. The first spread shows the little boy playing all of the characters shown in the book and the last spread shows the little boy playing all of those characters with his dad. EMOTIONAL VOCABULARY: You can use this book to teach your child about different emotions. While reading, you can ask your little one how he thinks the men in the story is feeling. Ask: "Why do you think he feels this way" or "What do you see in the picture that would make him feel this way." You can also ask: "Is there a time when you've felt like this before?" and this can give you an opportunity to share a personal story about a time when you felt like this too. You can create emotion flash cards and have your child match the flash card to the man feeling that particular emotion. Pink is For Boys by Robb Pearlman and illustrated by Eda Kaban is perfect for showing your little guy that he can wear pink or purple or play dress up. The message is that all the colors are for everyone, girls and boys. There aren't "girl colors" and "boy colors." You are allowed to like whatever color or whatever clothes or whatever games you want, and they aren't tied to a certain gender. The illustrations are cute and the characters are really inclusive to show boys and girls with different hair colors and skin colors and a little boy in a wheelchair. 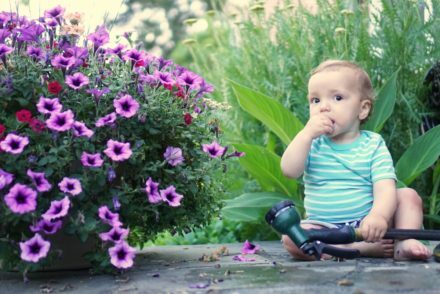 COLOR SCAVENGER HUNT: Have your little one searches for things around the house that are a certain color. 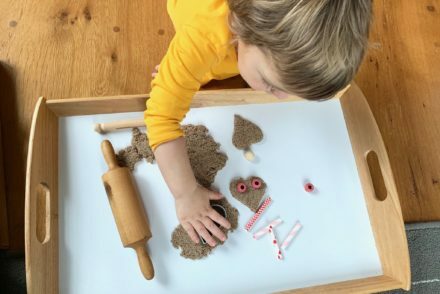 COLOR SORT: Lay out construction paper pieces of each color on the floor and have your child look through a basket of toys/objects and place them on the correct colored paper to match. COLOR MIXING: Put out red, yellow, blue, white paint and have your little one try to mix the different colors that are mentioned in the book. For really little ones, choose a color like pink and give them just red and white to see all the variations of pink they can make. My First Book of Feminism (For Boys) by Julie Merberg and illustrated by Michele Brummer Everett is is a must-have for any little boy. Merberg handles heavy concepts like consent, gender norms and equality in age-appropriate and easy-to-understand ways. The book talks about respecting your mom and showing emotions. It says being strong is more than just muscles and it is important to speak up for what is right and accepting differences. The book says boys can play dress up and play with dolls and help with household chores. It even mentions the importance of equal pay and understanding that no means no! My favorite page is "It's OK to cry and to love and be sad. Boys can feel more than just happy or mad." The cute and modern illustrations help to reinforce the book's message and the rhyming text makes it fun to read. 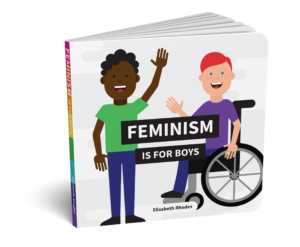 Feminism is For Boys by Elizabeth Rhodes is another board book for boys about feminism. The illustrations are bright and graphic and include children with different skin colors and a boy in a wheel chair. The text is really short and simple enough even very young children will understand the message that feminist boys should not be the exception, they should be the norm and boys. TELL US WHAT YOU THINK OF THESE BOOKS! Tag your photos of your little tough guys reading any of these books with @ureadyteddy and we'll share our favorites in our stories! Haha I’m sure he would love them! What a wonderful library for little guys to learn really great things! I will be checking these out soon. I think these are very important discussion to be having at an early age. It is nice to have the tools to make that easier. 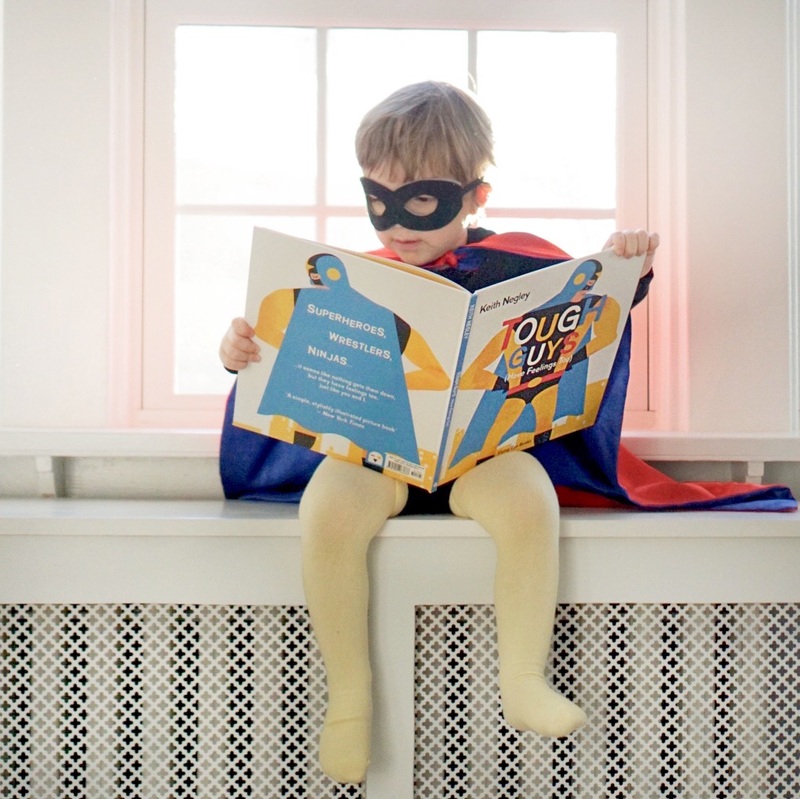 These books look amazing and super-inspirational (from an adult’s perspective!) and I’m also glad to see one with a child using a wheelchair on the cover! Way to go! I love these! I am going to bring them up at work. We do a lot of counseling with young boys.